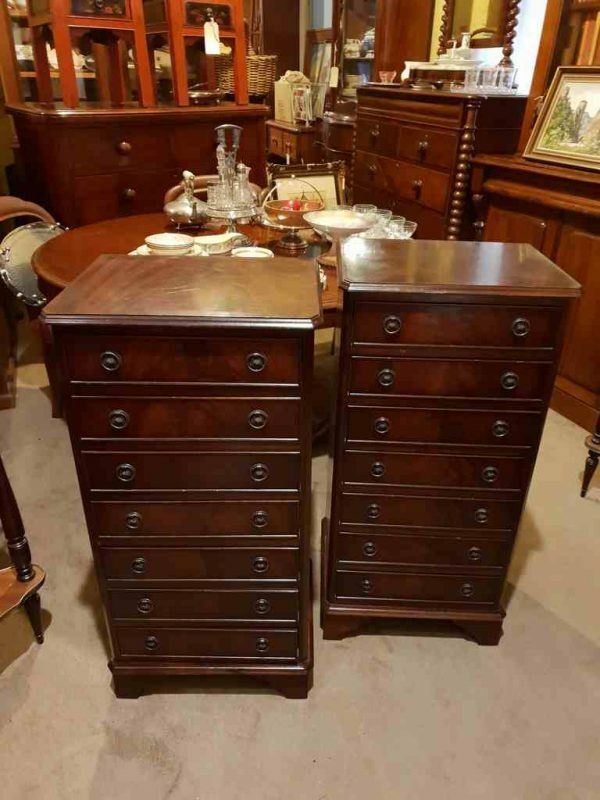 A delightful pair of flame mahogany multi drawer chests/cabinets. Vintage circa mid 20th cent. Very good original condition, great storage, ideal for bedside cabinets/ collectors etc. Available at Old Post Office Antiques in Melbourne at great value for money. $795 pair.